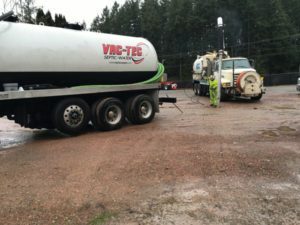 When it comes to new septic system design and installation in Puyallup, WA, the services offered by VAC-TEC LLC are second to none. We are a leading septic company that has worked hard to become recognized as the most capable and reliable name for new septic system installations throughout the community. Regardless of what prompts you to get a new septic system in Puyallup, we are the right people to do the job. We can handle all aspects of the project, from septic system sizing to new septic system layout to site evaluation to leach field and septic tank installation. Get in touch with us if it is time for septic tank installation on your property. The septic tank is a key component of any septic system and it holds the waste generated daily on that property. 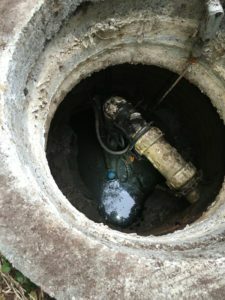 Improper septic tank installation can result in premature failure of the system and might create frequent sewage backups. Equally important is that septic tank installation be done with a container that has the capacity that is adequate for the property size and septic system usage. Contact us today for a free estimate of the septic tank installation cost. 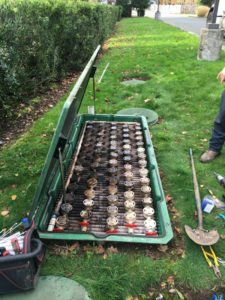 Other than installing new a septic system in under-construction properties, we also handle jobs that call us to replace septic systems or replace septic system parts. We are the experts you can rely on to replace a septic system pump, drain field, or septic tank in a fast, accurate, professional and economical way. Our company ensures quality services even when called to replace septic systems in their entirety. Choose VAC-TEC LLC to replace the septic system in your Puyallup property. Hire us for other septic services as well. Call (253) 777-4887.